Or perhaps it was because I had assimilated the general feeling towards ash trees that is found in ancient history and mythology, without quite realising it. 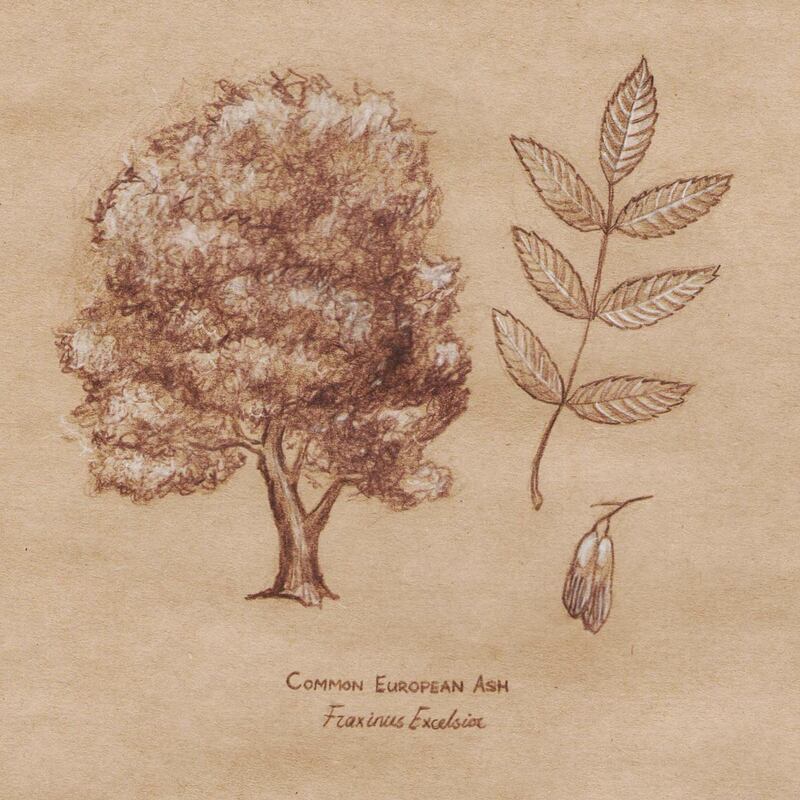 Throughout history and throughout its range, from Scandinavian to Celtic mythology, in the writings of Ancient Greek medics and Medieval herbalists, the ash tree has been lauded for its virtues and benefits. Not only is it ‘wholly good’, but the ‘whole of it’ is good – for something. The seeds, sap, bark, leaves and roots have all associations with different remedies, and indeed at one time it was thought that passing a sickly child through the centre of an ash tree that had been struck by lightning would be beneficial – possibly because it was seen as the essence of all that was good in nature. And this isn’t just folklore: modern research suggests it has uses in the treatment of diabetes, hart disease and even cancer. It has anti-inflammatory, antiviral and antioxidant properties, among other benefits. Besides its medical uses, the shock resistant timber has historically been used for spear shafts and shield handles and, more recently, timber-framed planes such as those flown in WW2. Oars, hockey sticks and the Irish hurley number among the tree’s contribution to sport. **Fabiom glanced around until he saw a rack with bows of a suitable height. What to choose? He picked out a couple and tested them, replacing them and moving on until he came to one that felt almost familiar. It was elm backed with ash and it bent under his hands exactly as he knew it should. “Treat it as you would any deep wound in need of cleansing. I may be able to counteract the (yew) poison with sap and bark from my own tree,” Casandrina told him. The reply came back – Do you mean ‘Is fish soup good for you’?